Today’s publication of the FAO SOFIA report sheds light on the dramatic state of our oceans: about 33 percent of global fish stocks are overfished, almost 60 percent maximally sustainably fished. Whilst the annual increase in global fish consumption (3.2 percent) outpaced population growth (1.6 percent), “more than 800 million people around the world find a source of food, income and livelihood in fisheries and aquaculture. We have to shift global policies, demand and consumption into a sustainable direction if we don’t want to run out of fish”, says Simone Niedermüller, WWF marine expert. As of today, Europe has used up all domestic fish resources. The European Fish Dependence Day marks the moment when the EU relies on fish and seafood imports for the rest of the year in order to meet consumption demand. Europe consumes far more seafood than it can catch in domestic waters or produce in fish farms. More than half of the yearly demand comes from abroad. Developing countries account for about half of the imports. Portugal (55.3 kg), Spain (46.2 kg), Lithuania (44.7 kg), France (34.4 kg), and Sweden (33.2 kg) have the highest consumption rates in the EU. Together, these five countries account for about one third of EU fish consumption. On average, each European citizen consumes 22.7 kg of seafood products each year. Countries producing as much or more than they consume are considered autonomous (e.g. Croatia, Netherlands, and Ireland). The vast majority of EU countries depend on fish imports to maintain consumption level. Countries with the highest dependence on seafood products from foreign waters have earlier Fish Dependence Days: Austria (January 17th), Slovenia (February 15th), Slovakia (February 18th), Romania (February 29th), Belgium (February 22nd), Lithuania (April 30th), Italy (April 6th), Portugal (May 5th), Germany (May 4th), Spain (May 26th), etc. “In less than eight months, Europe has already consumed the equivalent of its yearly domestic fish resources. We heavily depend on fish imports, especially from developing countries. We have to treat overfished oceans more carefully if fish shall feed the world in the future,” says Niedermüller. The European Fish Dependence Day is about one month earlier now compared with the year 2000. Thirty years ago, Europe could meet demand with fish from domestic waters until September or October. Although some European fish stocks have stabilized – due to action taken in the context of the EU Common Fisheries Policy – the level of EU self-sufficiency is still too low and too many stocks are still overfished. According to the EU Commission, 41 percent of assessed fish stocks in the Atlantic are considered overfished. This figure rises to 88 percent in the Mediterranean. 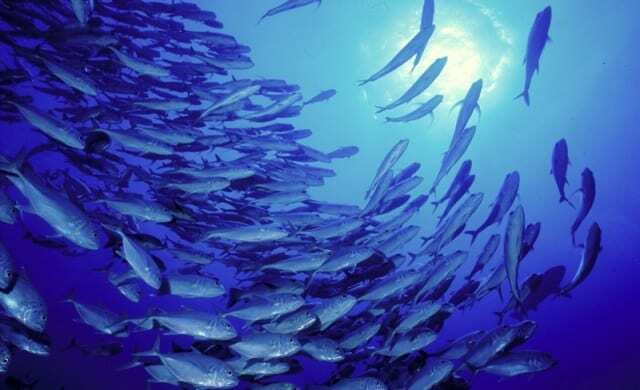 Overfishing also affects fish stocks in developing countries, which highly depend on this valuable resource. WWF consumer advice: “Whether domestic or imported seafood products, always go for the sustainable choice. This helps oceans and fish stocks to recover and supports livelihoods of people who depend on fish as a source of food and income”, says Niedermüller.